Water tapped by a private well is often of the highest quality. When buying property with a private well, a well inspection should be done to ensure the well is in good working order, the quality of the water produced meets health standards, and the construction of the well system meets current California Codes. Prior to the inspection, you should obtain your well’s log or record, which contains information on the history of the well and the ground surrounding it. Well drillers must file well logs with their respective states upon completion of all new wells. However, well owners should also own a copy in the event the well needs to be serviced. There are a variety of problems that can occur down the hole which can impede the proper operation of your water system. Using our underwater video camera we can accurately identify the cause and depth of any problems down the hole. All services are certified. With a video inspection there’s no better way to determine downhole conditions and make intelligent long–term decisions, avoiding unnecessary delays, repairs, and costs. Starting with a downhole video survey, we can eliminate guess–work and design your well repair based on video logging. 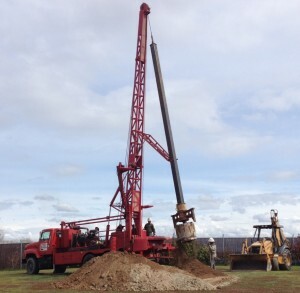 With over 160 years of combined experience in the water well industry, Nor-Cal provides an efficient and professional water well inspection service second to none.